Colorado wind energy in action (Xcel photo). “The surprising thing to me about it is it was a part of the campaign and Polis certainly talked about it some and obviously got attacked on energy and the environment, which just shows you how much those attacks didn’t work … but it certainly wasn’t a centerpiece of the [Polis] effort,” Baumann told RealVail.com. During the Democratic primary campaign last summer, Baumann’s company did some work for former Democratic state Sen. Mike Johnston, a Vail native whose late father Paul was once the mayor of Vail. Mike Johnston wound up third in the primary behind Polis and former Colorado Treasurer Cary Kennedy, whom Polis recently named his senior advisor on fiscal policy. Clearly, any candidate for any party looking to win in Colorado in the coming years needs to take the issues of climate change, environmental impacts and renewable energy seriously. For a deeper dive into what that means from a policy standpoint, here’s an excerpt from RealVail.com’s cover story on energy issues for Colorado Politics. Click here for the full story. COVER STORY: Is the Polis energy plan do-able? Both as a candidate and as Colorado’s new governor, Jared Polis pushed the goal of producing 100 percent of Colorado’s power from renewable sources by 2040. A week later, Polis issued an executive order aimed at putting more electric and zero-emission vehicles on the state’s roads. He created a working group involving state agencies to promote electric vehicles and called on automakers to sell more electric vehicles in the state each year. “In the absence of national leadership, states like Colorado, along with local governments and private and public companies, are leading the way on climate,” Polis said at a news conference announcing his order. But if Polis’ order on vehicles was the low-hanging fruit of his energy agenda, one possible next step – new state caps on carbon emissions – might just be forbidden fruit, say some GOP lawmakers and even members of the conservation community. Others see a carbon-cap law as the next logical step to combat climate change in Colorado. But Republican state Sen. Bob Rankin, who recently took over the fossil-fuel-rich Northwest Colorado seat previously held by Randy Baumgardner, warns against the economic pitfalls of moving too fast to phase out coal and natural gas. Colorado, after all, is a state where the U.S. Energy Information Administration reports fossil fuels make up a combined 78.2 percent of the electricity mix. 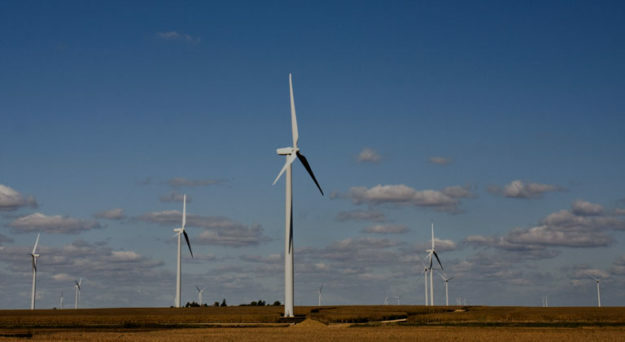 Wind and solar currently contribute a combined 18.28 percent of the state’s electricity. “I believe that an overly aggressive, politically motivated and unrealistic plan for the complete phaseout of fossil fuels will be devastating to many of my constituents,” said the Carbondale Republican, who now represents coal and gas counties such as Moffat, Routt, Garfield and Rio Blanco. To read the full Colorado Politics cover story, click here.